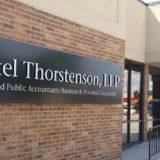 The accounting services offered by Ketel Thorstenson includes: bookkeeping, the management of payroll, QuickBooks consulting, and tax reporting and compliance. These services are designed to sustain the everyday operational and accounting functions of businesses and organizations. The day-to-day details of running an operation can be exhausting. And you probably didn’t start your business to be consumed by numbers. But, you need accounting data to make strategic business decisions, and you need to understand what the data means. Accurate, timely and useful data allows you to run your business more efficiently and leads to better financial management. KTLLP is here to help. If you’re feeling overwhelmed with your business’ accounting needs, you’re not alone. Many business owners stress over profit and loss statements and bank accounts. It doesn’t always make sense to hire an in-house staff member to manage and monitor every day accounting tasks. In an ever changing regulatory environment, staying up on all the laws and regulations related to sales, use, payroll tax, and respective reporting is becoming more difficult. Small-to-medium businesses and organizations often find themselves seeking out the services of outside entities to manage responsibilities, such as bookkeeping, and payroll. Outsourcing your bookkeeping and accounting functions to a CPA firm can sweep this worry right off of your plate. In addition to alleviating the burden of everyday accounting tasks, KTLLP offers the best in technology and service to keep your business running smoothly and efficiently. Our accounting services allow you to free up management and staff resources, while entrusting these responsibilities to an established and experienced accounting firm. Don’t face these challenges alone. Strategy takes teamwork. Add the KTLLP Accounting Services professionals to your winning team. Form 1099 Reporting | payments of rent, interest, and amounts paid to non-employees for outside services. Sales Tax & Excise Taxes | preparation of state Sales and Use Tax Returns and Excise Tax Returns. Accounts Payable | check printing from client-provided invoices. Quarterly & Year End Payroll Services | allow the CPAs and accounting professionals at KTLLP to assist with the following: W-3s, W-2s, 941s, 940s, State Unemployment (all states), 8027 (allocated tips), information necessary to complete 8846s (credit for employee tips). Payroll Processing | KTLLP can assist you in the preparation of payroll information, including paper checks, direct deposit payrolls, and pay cards. We can also assist in calculating and paying 941 deposits, tracking and calculating allocated tips, and ensuring correct overtime rates for tipped employees or employees with commissions and/or bonuses. Our payroll processing services also cover Cafeteria Plans, Simple/401(k) Deductions, Child Support Payments/Garnishments, New HIRE Act Reporting, and Workers Compensation Audit Assistance. After-the-Fact Payroll Processing | this accounting service includes calculation and payment of payroll taxes and the management of payroll forms. Pay Cards | this convenient, automatic, and flexible system issues paychecks in real time using prepaid debit cards. It’s the most convenient way to pay people today, making direct deposit easy, eliminating paper checks, and allowing employees to use their debit cards at ATMs and merchants. Tired of being behind on your bookkeeping? Trust the experts. Keeping accurate and timely financial records is key to your business’ success. From start-ups to established corporations, Ketel Thorstenson can help with your comprehensive accounting needs…from bookkeeping to payroll, QuickBooks consulting to tax reporting and compliance. Talk with a KTLLP accounting services professional about the best strategy for your situation. There’s no need to be bogged down by manual accounting processes and delayed financial information. As a KTLLP client, you can rest easy knowing that a knowledgeable and experienced accounting services team is in your corner. WHY?